A good farmer must be many things — a horticulturist, a mechanic, a botanist, an ecologist, a veterinary, a biologist and any number of other things — but knowledge alone is not enough. There must be too that feel of all with which nature concerns herself. That is what Confucius meant in the proverb "The best fertilizer on any farm is the footprints of the owner". The good, the “live” farmer is the man who turns now and then to look back at the furrows his plow turns over, to see that the soil crumbles behind him as rich, good soil should crumble. He is the man who sees the humus in his good earth and counts the earthworms, and watches his crops as they grow to see whether they are strong or sickly and what it is that is needed to make his pastures dark and green, his corn tall and strong. 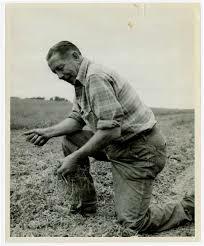 He is the man who learns by farming, to whom the very blades of grass and stalks of com tell stories. He is the man to whom good crops sing a song and poor ones convey a painful reproach. He is the man who knows that out of the soil comes every-thing, that out of the soil come the answers to the questions which torment him. It lies with him whether his world shall be rich and prosperous or decaying and poor and wretched. He is the man who knows how deeply Nature can reward the conscientious, intelligent worker and how bitterly she can punish the stupid shiftless ones to the very marrow of their bones. Agriculture is in many ways the most satisfactory and inexhaustible of sciences. It touches or includes countless other fields of knowledge and research and with each discovery whole new fields to be explored are opened up. 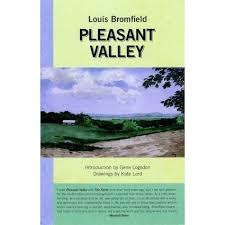 It is like the Pleasant Valley country where beyond each wooded hill there is a new small world, filled with adventure, mysterious and complete within itself. Now and then a professor, a bureau man or a scientist leads the way into the wrong country as did the man who believed that chemical fertilizer is the panacea for the ills of the soil. It took many years and millions of acres of soil made arid, bereft of humus and bacteria and earthworms for the farmer to discover that chemical fertilizer was not the whole answer but only a small, though vital, part. In the meanwhile many farmers and a good many scientists, neglected the actual process of what went on in the soil, forgetting that the natural process of health and growth and reproduction is an immensely complicated affair, whether in man or in beast or in plant and that there are no short-cuts which are not in the end illusory and costly. With all the research we have made there still remain many mysteries, not beyond explanation but which have not yet been explained or understood. 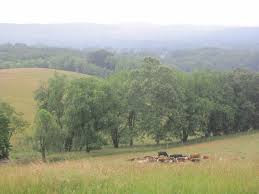 In this borderland the “live” farmer finds his place — the man who sees and feels what is going on in the soil beneath his feet and on the earth around him, the man whose footsteps are the best fertilizer of his farm. 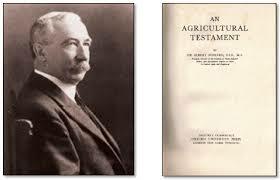 The best book I know on soil and the processes which take part in it is An Agricultural Testament by Sir Albert Howard [OUP]. 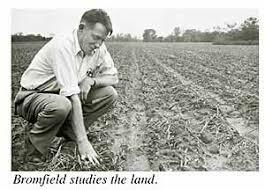 It is the record of a lifetime spent in working with soil, its preservation and restoration, and the author approaches the whole subject with a kind of reverence and mysticism without which I believe the efforts of any agricultural scientist may, in the end, be of little value. Possibly no one knows more of soil and the principles that effect growth and fertility and abundance than Sir Albert, but his attitude is one of humility toward the still greater mysteries which he has not yet explored. A heap of well-cured barnyard manure is not merely a composite of certain elements held together in certain chemical formulas. It is not merely the residue of calcium, phosphorus, potassium, nitrogen and trace minerals which the animals have eaten, rejected and passed out of the intestines. There are other mysterious elements — many kinds of bacteria, hormones, vitamins, glandular secretions — of which we know all too little. You could make a chemical analysis of that heap of manure and reproduce it synthetically, but in the exact chemical formula the result would not have the same stimulating and, above all else, the same healthy effect upon plant growth and fertility as the heap of manure itself. Most important of all, the synthetically produced fertilizer would contain no organic material, no potential humus without which all plant life in the end turns sickly or deficient.